McClendon’s Select is gearing up for our first Saturday market of the season tomorrow at the Old Town Farmers’ Market. We are pleased to be bringing with us Butterkin, a new variety of winter squash that is a cross between a Sugar Pie Pumpkin and a Butternut squash. Intensely orange in color this is hands down the best winter squash that I have ever tasted. 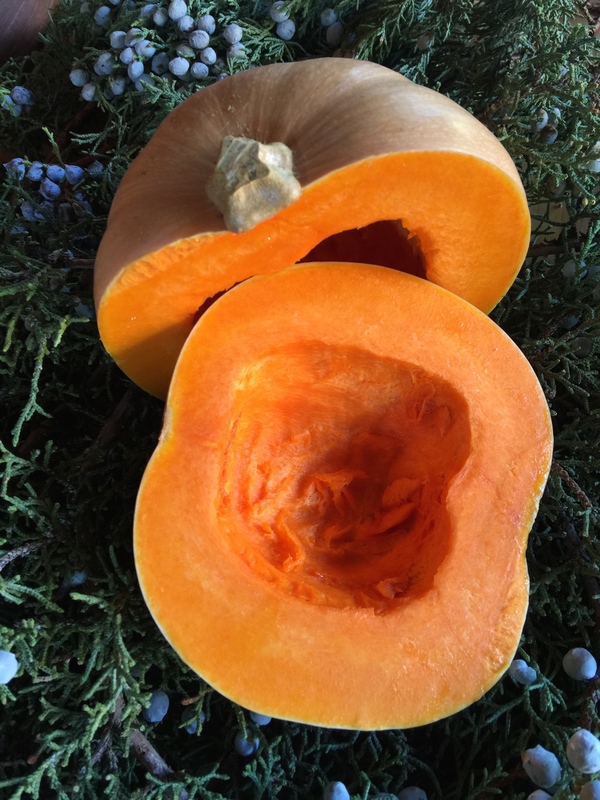 Butterkin provides the perfect blend of sweet and buttery flavors and will make a flavorful addition to soups, pastas, pies, and salads. Its creamy and smooth texture makes it extremely versatile. We roasted a Butterkin this weekend and it was the perfect start to fall. We are also happy to announce that the “Sisterhood of the Stove”event is being held for its second year on Sunday, October 25th from 1:00-4:00pm. This amazing meal is an all-women chef event with some of the best from around the Valley. The event will be held outdoors at the Cattletrack Compound in Scottsdale featuring dishes from Chrysa Robertson, Charleen Badman, Tracy Dempsey, Lori Hashimoto, Helen Yung, and Eugenia Theodosopoulos, to name a few. The price is $100/per person inclusive, with some wonderful Arizona beer and wines for pairing. To make reservations, contact Sabrina at ranchopinot@hotmail.com. Last year’s event was such a success, I am glad to hear that they are doing this again! See you tomorrow Scottsdale – rain or shine we will be there!